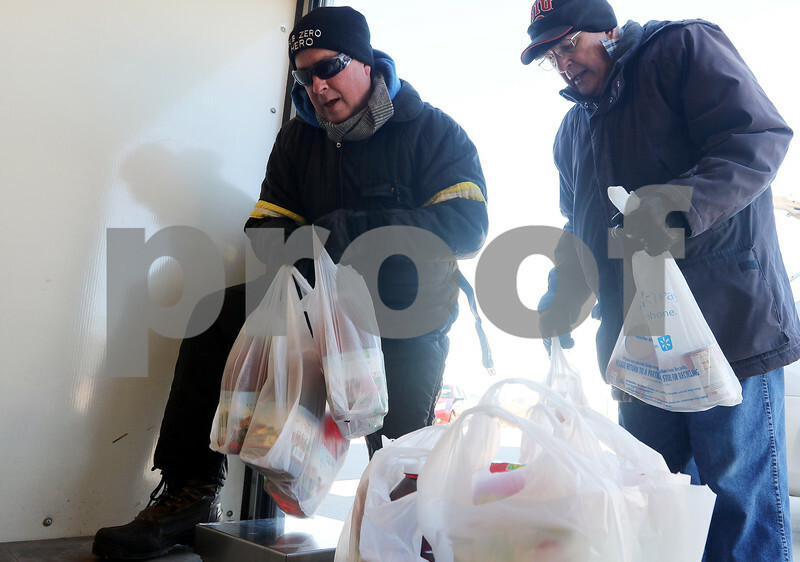 WLBK radio personality TD Ryan (left) and donor Roger Lemke of DeKalb weigh Lemke's food donations during the 17th annual Freezin' For Food drive on Wednesday, Dec. 6, 2017 at Hy-Vee in Sycamore. "He's always the first one," said Ryan of Lemke, who donated 286 pounds of food toward the goal of 2,000 pounds. Ryan will be accepting donations of money and food at the Freezin' For Food shack in the Hy-Vee parking lot from 6am to 6pm through Friday, then 6am to 11:30am on Saturday.